Spiral staircases are often used both for interiors and exterior design. Spiral staircases give a house an outstanding appeal and a great view. For interior designs, they are perfect as they cast fewer shadows in comparison with regular staircases. They also take less space which makes them great for instance where there is limited space in a room or outside. Installation of spiral staircase UK requires that you put into consideration a couple of things. We have discussed the four things we feel are most important for you. As mentioned earlier, spiral staircase designs comprise of outdoors and indoor designs. Depending on where you need this, it is good to consider the amount of space you have especially if you need this to be indoors. What material do you want to use? There are different materials that can be used to make spiral staircases, depending on the location and what you find most suitable, you can choose to use metal, wood, steel or forged iron for the interiors. 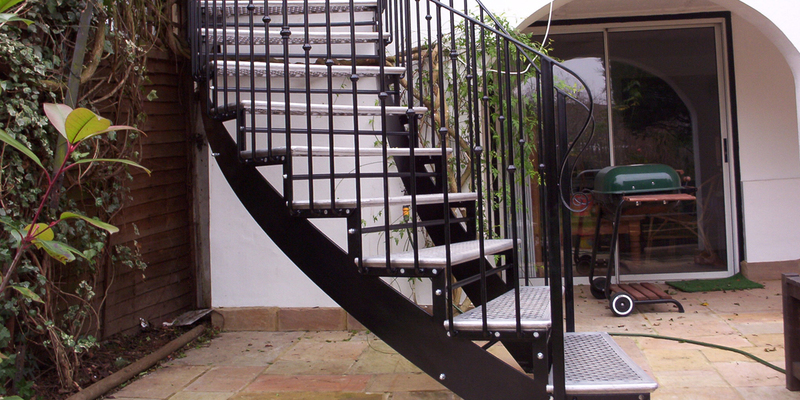 As for an exterior staircase, you can choose to use galvanized steel or powder coated aluminium due to the harsh conditions outdoors. This in simple terms refers to how wide you need your staircase to be. Work with a diameter that most appeals to you while taking into consideration on the space available. Consult with your architect too so that they can advise you on this too. Spiral staircases are associated with expensive taste. There are different designs available at different budgets. It is important too, therefore, do your homework of the different designs and match this with a working budget. You, therefore, do not need to break your bank to get a quality spiral staircase.